The next remedies are well known in the natural remedies and treatments universe. 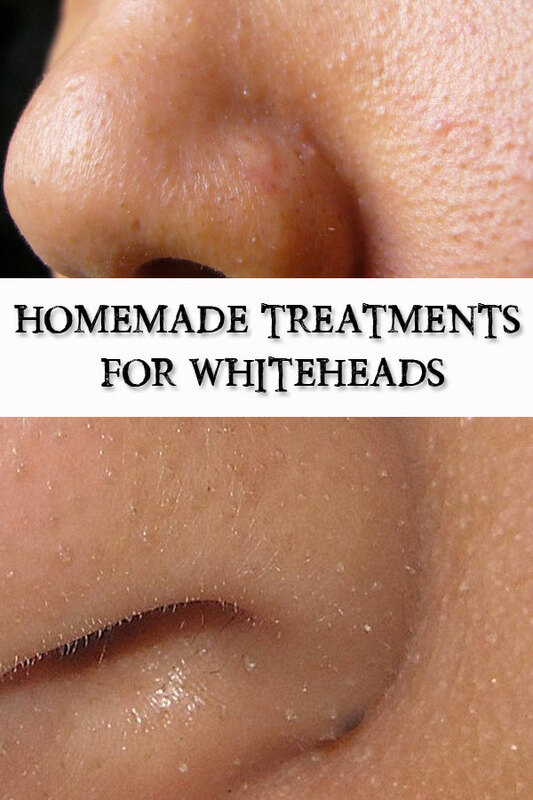 They were tasted by many homemade treatments lovers and the results are known to work and to help you get rid of whiteheads from your face. The good news is you can start preparing at least one recipe right after you finish reading this article because many of the ingredients already can be found in your kitchen. You just need to blend some potato slices until you obtain a paste. Apply the potato paste on the areas you have whiteheads (near your nose, eyes etc) and allow it to do its magic for 30 minutes. After 30 minutes rinse very well with warm water. Both of them help dry the whiteheads and eventually they help get rid of them. Depending on the numbers of whiteheads you can either soak a Q-Tip (if you have one) or a cotton bad (if you have many) in lemon juice/apple cider vinegar. Apply it on the whitehead for 5 minutes. Repeat this treatment twice per day, for several days. Crush 3 aspirins and mix them with 1 teaspoon honey and 2 teaspoons yogurt. Apply the resulted mask on your face and allow it to act for 15-20 minutes. Then rinse. The aspirin helps clean the pours and exfoliate your skin, while the honey helps calm it. Prepare yourself a mask from tomatoes pulp with few drops of lemon juice. Before you go to bed apply this mask on your face and leave it for 15-25 minutes. Tomatoes are wonderful in cleaning your skin and eliminate whiteheads.